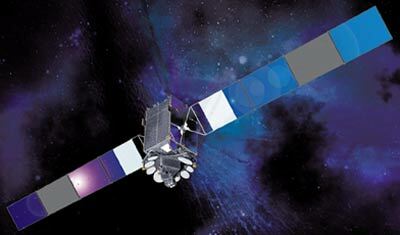 Loral built the US$150 million SpainSat, for Hisdesat, which provides dedicated communications for the Spanish Ministry of Defense. SpainSat operates thirteen specially configured high-power transponders, twelve at X-band and one at Ka-band, from its 30 degrees West longitude orbital position, providing coverage of Spain, Europe, Africa and the Americas. SpainSat 1 was launched on 11.03.2006 on an Ariane-5ECA booster.